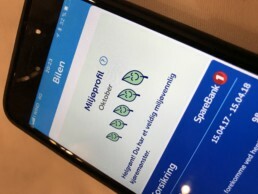 Driving safely can cut accident risk, improve fuel efficiency, and cut insurance costs for drivers using SpareBank 1’s sensor technology and mobile app. A small sensor fitted into the cars of Norwegians insured with SpareBank 1 monitors mileage, speed and driving characteristics, allowing sensible drivers to benefit from lower insurance costs, and incentivising others to reduce their fuel use through more cautious driving. By braking and accelerating less erratically, drivers can maximise their fuel-use efficiency, producing less greenhouse gas per kilometer driven. The technology also means that drivers only pay for the mileage they drive. The in-car sensor also connects to an app, providing drivers with feedback on their performance, giving an energy score based on monthly performance assessments and feedback for how to improve the score. The difference between the highest and lowest score corresponds to 350kg CO2 per year for each car. With over 9 thousand cars on the road using this smart insurance, a potential saving of up to 3000kg CO2 per year could be achieved if all drivers increase their scores from minimum to maximum. We have about 300,000 cars in our insurance portfolio. If we motivate just half of the car owners to make fewer small trips and avoid idling the engine, we could potentially save emissions of more than 50,000 tons of CO2 a year. Svein Skovly – Head of Innovation, Sparebank 1 Forsikring. The transportation sector faces tough challenges in order to reduce greenhouse gas emissions by 2030 – Norway has committed to 40% GHG reduction targets by 2030 and cutting fuel consumption in cars could make up a big part of that. Studies suggest that by adopting safer driving habits, drivers can improve fuel efficiency by up to 40%. 135 people died in Norwegian traffic accidents in 2016. Incentivising safer driving practices can help bring this down to zero. Reducing fuel consumption and overall mileage through financial incentives is one way to reduce emissions in the transport sector. 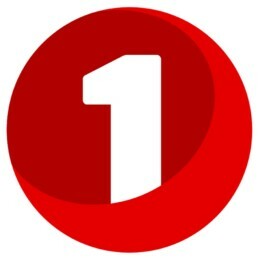 Sparebank 1 is an alliance of independent banks that works together to help customers with the everyday economy.